Quiz time: Which Middle Eastern country disappeared from the map not long ago for more than six months? 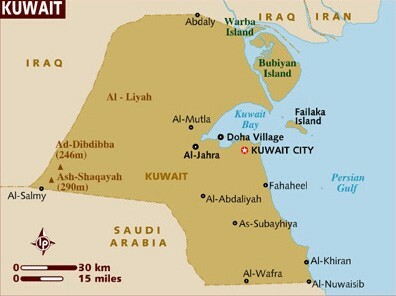 Answer: Kuwait, which disappeared from August 1990 to February 1991, becoming Iraq's 19th province. This brutal conquest by Saddam Hussein culminated intermittent Iraqi claims going back to the 1930s. Restoring Kuwait's sovereignty required a huge American-led expeditionary force of more than half a million soldiers. This history comes to mind because an Iranian spokesman recently enunciated a somewhat similar threat against Bahrain. Hossein Shariatmadari, an associate of Iran's supreme leader, Ayatollah Ali Khamenei, and editor of the daily newspaper Kayhan, published an op-ed on July 9 in which he claimed: "Bahrain is part of Iran's soil, having been separated from it through an illegal conspiracy [spawned] by ... Shah [Mohammed Reza Pahlavi, along with] the American and British governments." Referring to Bahrain's majority Shiite population, Mr. Shariatmadari went on to claim, without any proof: "The principal demand of the Bahraini people today is to return this province … to its mother, Islamic Iran." These comments, the Middle East Media and Research Institute (MEMRI) reports, "caused a storm in Bahrain," with protesters outside the Iranian Embassy, severe statements by the government, alarmed resolutions by both houses of parliament, and even a fatwa prescribing death for Bahrainis who should endorse this Iranian irredentism. Other Persian Gulf states joined in with equally scathing statements. 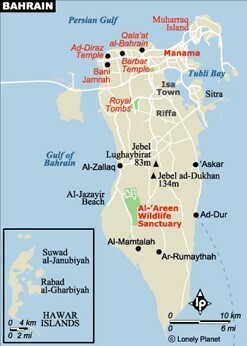 Bahrain, Iran's 14th province? Some say so. The subject is a sensitive one. Tehran's claims on Bahrain go back to 1958, when it declared the island to be Iran's 14th province, even apportioning it two seats in the national parliament. Although the shah formally recognized Bahrain's independence in 1970, claims such as Mr. Shariatmadari's have surfaced episodically and are reminiscent of periodic Iraqi claims to Kuwait before 1990. So, Kuwait actually vanished down the Iraqi maw, and Bahrain could face a similar fate. Nor are they alone, as three other Middle East states are also threatened with extinction. Jordan has always been precarious, perched between several larger, more powerful, and often aggressive states. In one memorable articulation of this fear, during the peak of the Kuwait crisis in November 1990, then-Crown Prince Hassan worried that his "small country of 3.5 million is on the brink of extinction." Lebanon's independence has been in question since the state came into being in 1926 because its Syrian neighbor has never reconciled itself to losing Lebanon's territories. Damascus has variously expressed this reluctance cartographically (showing the boundary with Lebanon as "regional," not international), diplomatically (never opening a Syrian embassy in Beirut), and politically (more than three decades of dominating internal Lebanese affairs). Israel's existence as a Jewish state was threatened the very day of its declaration of independence in 1948. Winning many rounds of war over the next decades brought it a certain deterrence and permanence, but a directionless electorate and inept leadership since 1992 means the country faces elevated threats to its existence comparable to those dating to before the 1967 war. Kuwait was Iraq's 19th province for more than six months. The existence of this quintet of endangered Middle Eastern states prompts several thoughts. First, their predicament points to the uniquely vicious, volatile, and high-stakes quality of political life in this region; so far as I know, there is no state outside the Middle East whose very survival is in doubt. Second, this singular pattern results in part from a widespread problem of unsettled boundaries. With only a handful of exceptions — ironically, including two of Israel's international boundaries — most borders in the Middle East are neither delineated nor mutually agreed upon. This lower-grade revisionism feeds grander ambitions actually to eliminate a polity. Third, this situation places Israel's quandary into perspective. However anomalous the threat of extinction in the world at large, it is banal in the immediate region. Israel's troubles may overwhelmingly be the best known of the group, with hundreds of times more press coverage and books than about the other four countries combined, but all five face a comparable threat. This context implies Israel's unsettled status continuing for a long time. Finally, these deep, unresolved tensions throughout the Middle East point, once again, to the absurdity of seeing the Arab-Israeli conflict as the motor force of the entire region's problems. Each endangered state faces its own unique circumstances; none of them drives regional politics as a whole. Solving the Arab-Israeli conflict does no more than solve that specific conflict. Aug. 7, 2007 addendum: I did not include Western Sahara in this list, in part because it was not much of a country when Moroccan forces invaded and conquered most of it in 1976, in part because it lies outside the Middle East. But it does fit the pattern outlined above. Feb. 20, 2009 update: I pursue further one of these five cases at "Iranian Claims to Bahrain"
Related Topics: Arab-Israel conflict & diplomacy, History, Kuwait, Middle East patterns | Daniel Pipes receive the latest by email: subscribe to the free mef mailing list This text may be reposted or forwarded so long as it is presented as an integral whole with complete and accurate information provided about its author, date, place of publication, and original URL.